wow Glo this is a work of art..I love this. masterfully made looks fantastic awesome my friend. this is so awesome Glo, loooooooove it!!!!!!!!!!!!!!! Yeah, I would say you rocked it! 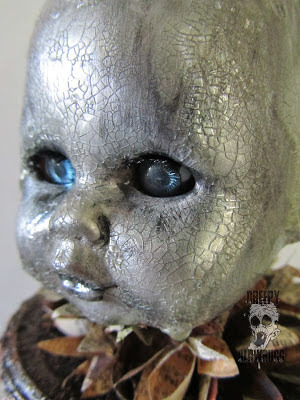 So creepy and beautiful to look at, I adore that you used an icy color for the head and then rusty warm coloring on the can, just brings it to another level. What a great idea to mix your paint in with your resin, I definitely need to try the resin/sand combo cause it looks awesome. Can I be on your Christmas list pretty please? You wouldn't need to make anything new, just send this along ha! Yes, I would say you definitely rocked it! 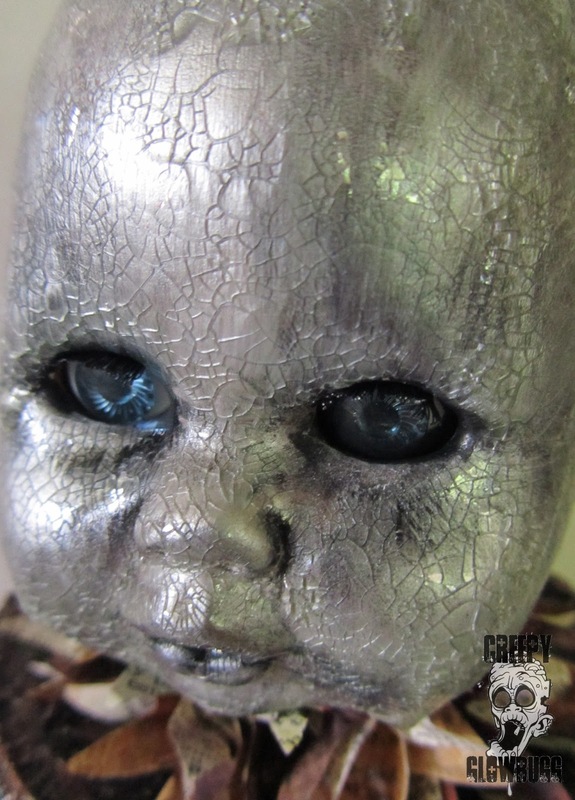 I adore that you used an icy color for the doll head and then contrasted it with warm, rusty metal colors on the can. And what an awesome idea to color the resin before hand! I'll definitely need to give the resin/sand mixture a try, the texture is stunning. Can I pretty please be on your Christmas list, you wouldn't need to make anything new, just send this along, HA! But really, outstanding project!